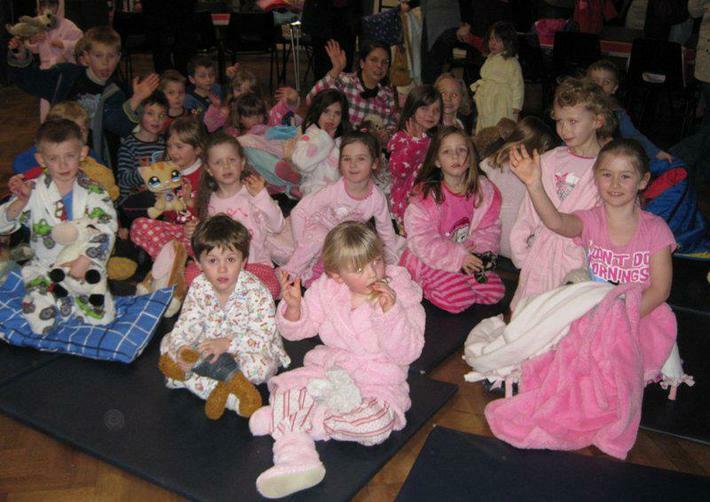 Hot Chocolate, Cookies, PJs, Teddies and Stories at Bedtime for World Book Day. Pupils at Stalbridge Primary School celebrated last Thursday's world book day by returning to school long after normal closing time. The children, along with their teachers, parents and school governors returned for an evening of story telling by invited members of the local community. Treasure Island, The Cat in the Hat and The Gruffalo, where among the featured story books enjoyed by the pupils aged 5 to 11, who returned to school after 6.30pm. "It was a fantastic evening," enthused Aaron aged 8. "I really liked my story about Horrid Henry and the hot choc. Headteacher Michael Allen added, "It was a really great evening and a lovely way to celebrate World Book Day. I would like to say a big thank you to all the members of our Stalbridge community who came in to read for the children. They brought the books to life for the children and they had a wonderful time." Back in school the following day many of the children were joined by their parents or grandparents for a story writing session. The grown-ups worked alongside their children writing a series of adventure stories designed for inclusion in a school anthology of story writing. For many it was a trip down memory lane and also a super opportunity to gain a first hand insight into the way writing is taught in schools nowadays. "I do really think this will help me help my child with his reading and writing from now on," commented one parent. "The Hot Chocolate was lovely."